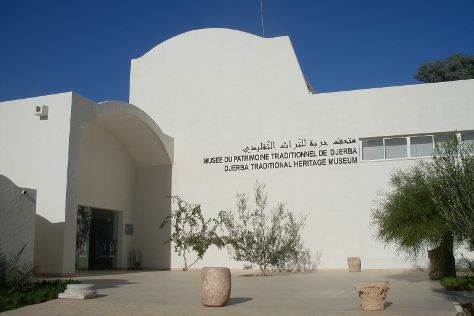 Kick off your visit on the 9th (Mon): ride a horse along Ranch Yassmina Djerba La Douce, see the interesting displays at Lalla Hadria Museum, walk around Krokodilfarm Animalia, then get to know the resident critters at Djerba Explore, and finally contemplate in the serene atmosphere at El Ghriba Synagogue. Get ready for a full day of sightseeing on the 10th (Tue): examine the collection at Musee de Guellala, see the interesting displays at Musee du Patrimoine Traditionnel Djerbien, pause for some photo ops at Sidi Yati Mosque, then don't miss a visit to Ksar ben Ayed, and finally don't miss a visit to Djerbahood. For other places to visit, maps, more things to do, and other tourist information, read Djerba Island driving holiday planning tool . Johor Bahru, Malaysia to Djerba Island is an approximately 28-hour flight. Due to the time zone difference, you'll gain 7 hours traveling from Johor Bahru to Djerba Island. Plan for colder temperatures traveling from Johor Bahru in December, with highs in Djerba Island at 21°C and lows at 13°C. Finish up your sightseeing early on the 10th (Tue) so you can travel to Hammamet. Venture out of the city with trips to Tunis (Medina of Tunis, Bardo Museum, & more) and Carthaginian Ruins (in Carthage). The adventure continues: don't miss a visit to Medina of Hammamet, find something for the whole family at Carthageland, take a stroll through Yasmin Hammamet, and kick back and relax at Hammamet Beach. To find maps, ratings, where to stay, and other tourist information, you can read our Hammamet road trip planning site . You can do a combination of flight and bus from Djerba Island to Hammamet in 3.5 hours. Other options are to drive; or do a combination of taxi and train. Plan for slightly colder nights when traveling from Djerba Island in December since evenings lows in Hammamet dip to 10°C. Cap off your sightseeing on the 13th (Fri) early enough to go by car to Kairouan. Kairouan, is the capital of the Kairouan Governorate in Tunisia. Start off your visit on the 14th (Sat): contemplate the long history of Governor's House, explore the world behind art at Musee d'art Islamique de Raqqada, then contemplate in the serene atmosphere at Mosque Sidi Sahbi (Mosque of the Barber), then make a trip to Medina of Kairouan, and finally admire the landmark architecture of Great Mosque of Kairouan. To find photos, reviews, more things to do, and other tourist information, read Kairouan trip itinerary website . Traveling by car from Hammamet to Kairouan takes 1.5 hours. Alternatively, you can do a combination of train and taxi; or do a combination of train and bus. 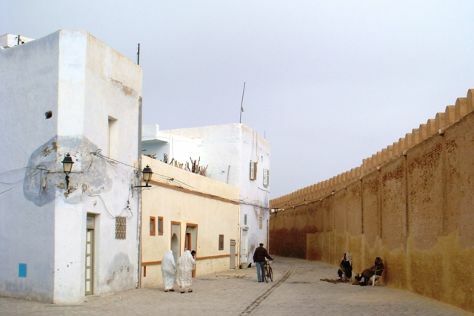 December in Kairouan sees daily highs of 20°C and lows of 11°C at night. Wrap up your sightseeing on the 14th (Sat) early enough to drive to Monastir. Start off your visit on the 15th (Sun): explore the ancient world of Forte El Ribat, then contemplate the long history of Bourghiba Mausoleum, then get engrossed in the history at Sousse Archaeological Museum, and finally browse the eclectic array of goods at Medina of Sousse. For more things to do, where to stay, ratings, and tourist information, use the Monastir trip builder app . Traveling by car from Kairouan to Monastir takes 1.5 hours. Alternatively, you can do a combination of taxi and train; or do a combination of bus and train. In December, daytime highs in Monastir are 20°C, while nighttime lows are 11°C. Wrap up your sightseeing by early afternoon on the 16th (Mon) to allow enough time to travel back home.